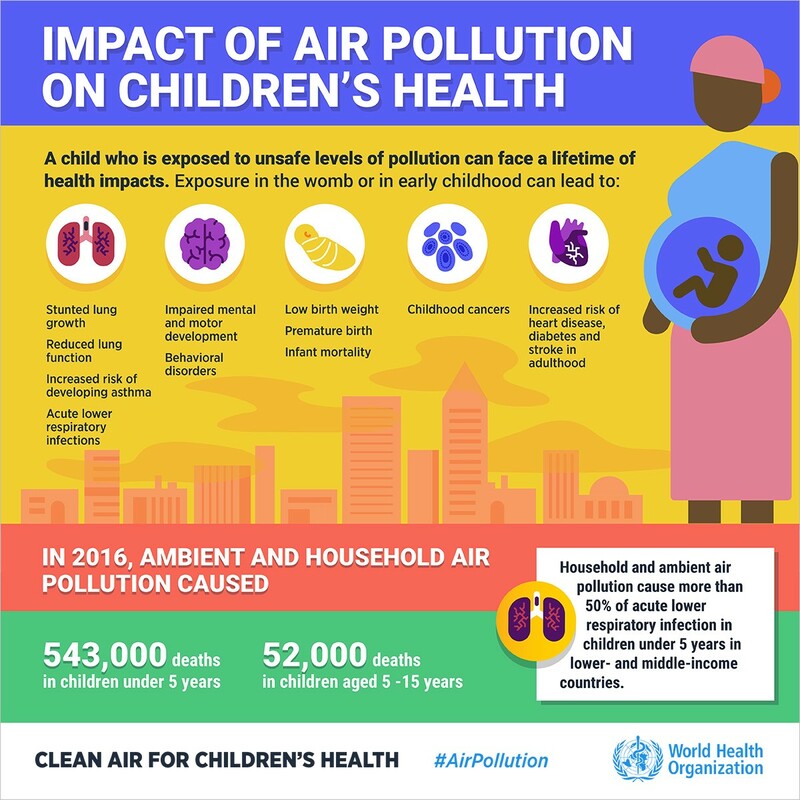 Every day around 93% of the world’s children under the age of 15 years (1.8 billion children) breathe air that is so polluted it puts their health and development at serious risk. According to a new report from the World Health Organization (WHO) 600,000 children died from acute lower respiratory infections caused by polluted air in 2016. They also live closer to the ground, where some pollutants reach peak concentrations — at a time when their brains and bodies are still developing. – facilitating the uptake of renewable energy sources. Better waste management can also reduce the amount of waste that is burned within communities and thereby reducing ‘community air pollution’. 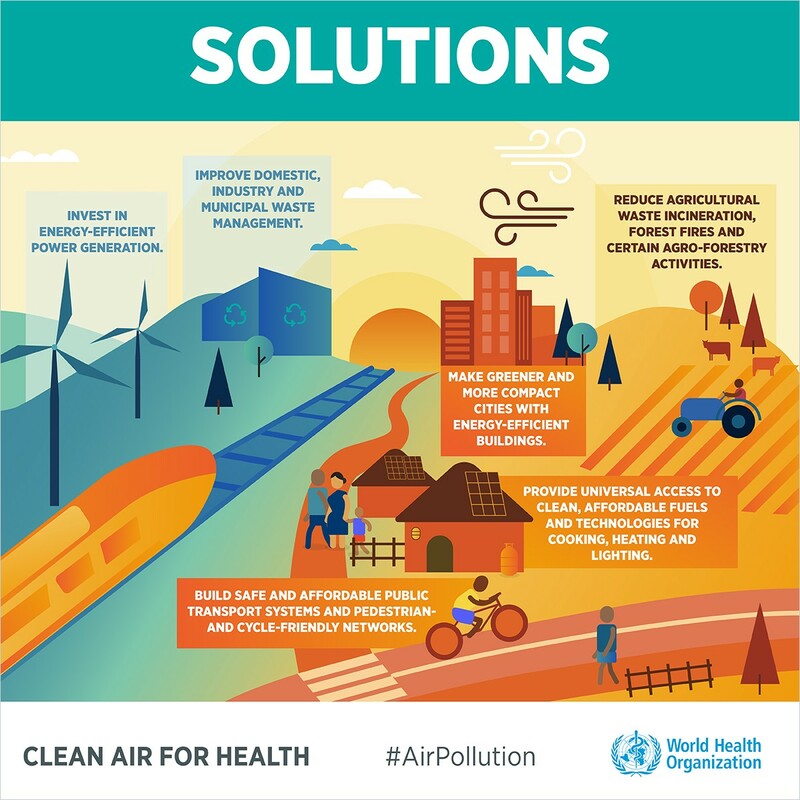 The exclusive use of clean technologies and fuels for household cooking, heating and lighting activities can drastically improve the air quality within homes and in the surrounding community.